With two little girls we’ve had our share of tea parties. 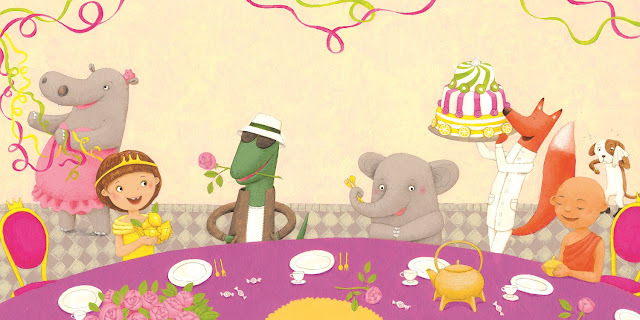 Tea parties are so much fun, especially for Madeline. She likes to get all dressed up for the occasion and invite all of her dolls and stuffed animals. On days when we know that Olivia isn’t going to be around I like to bring out the little ceramic tea set so it seems more grown up for her (yes poor Olivia, but no one likes broken dishes…and one has already been broken and glued back together). So when I saw the book, The Queen is Coming to Tea by Linda Ravin Lodding, I thought it would be a fun read for Madeline. 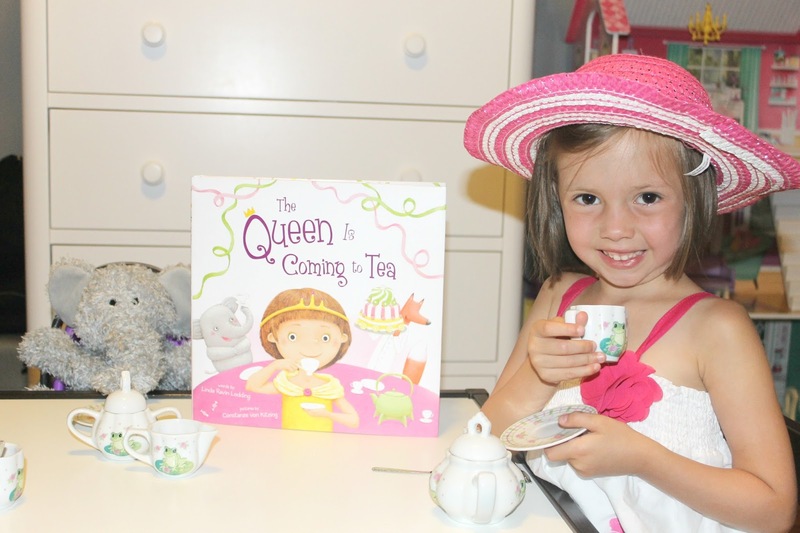 It is an adorably illustrated book about a girl named Ellie who receives a note from the Queen “May I please come for tea? Sincerely yours, The Queen Herself”. Ellie travels the world as she makes sure to have everything she needs for the Queen’s arrival. I have been reading the book to Madeline, she’s 5 and it makes for a good bedtime book for us. 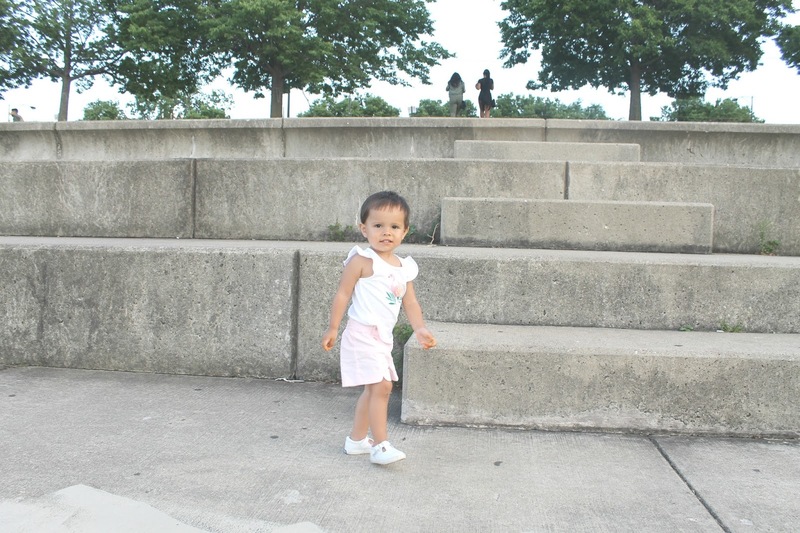 It’s a fun way to follow Ellie on all of her adventures as she gets ready for the Queen’s visit. 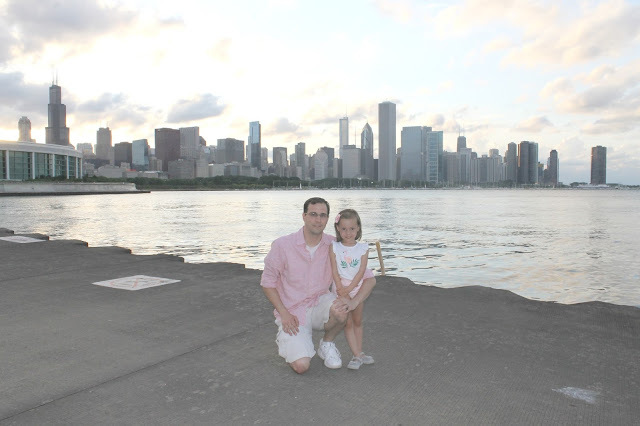 Plus I get to share about my own travel experiences with Madeline, and even make new future plans with her. (I hear Paris calling). I think you'd love the book too! 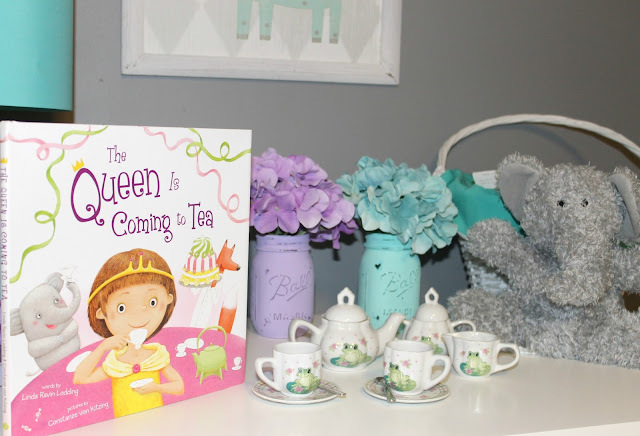 Sign up for the opportunity to win a copy and a cute ceramic tea set so you too can get ready for the Queen’s arrival. And don’t forget to try the Peach Mango White Iced Tea recipe below. 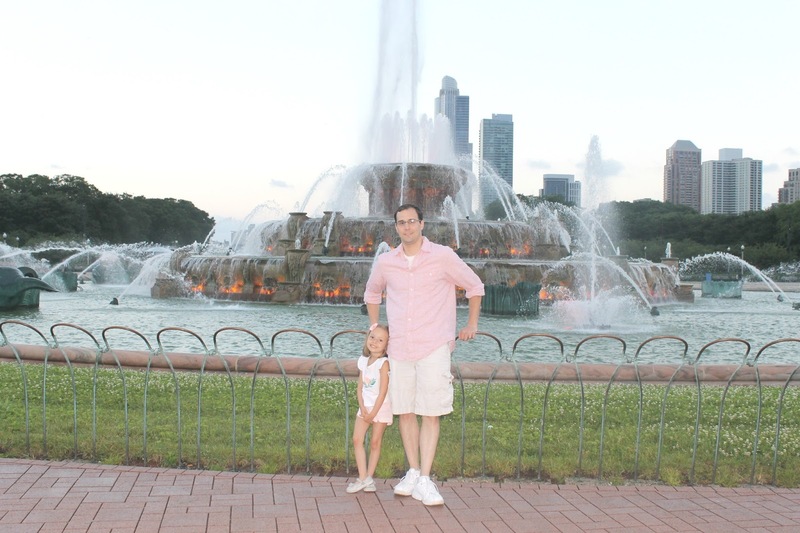 With summer in full swing and the girls full of energy, I've been looking for new ways for them to see Chicago. My family was invited to take a scenic ride on a Double Decker bus from Chicago Trolley & Double Decker Co. I had been on one many years ago, but never took full advantage of its full offerings. You can visit one of their many kiosks, purchase your ticket, and be on your way. 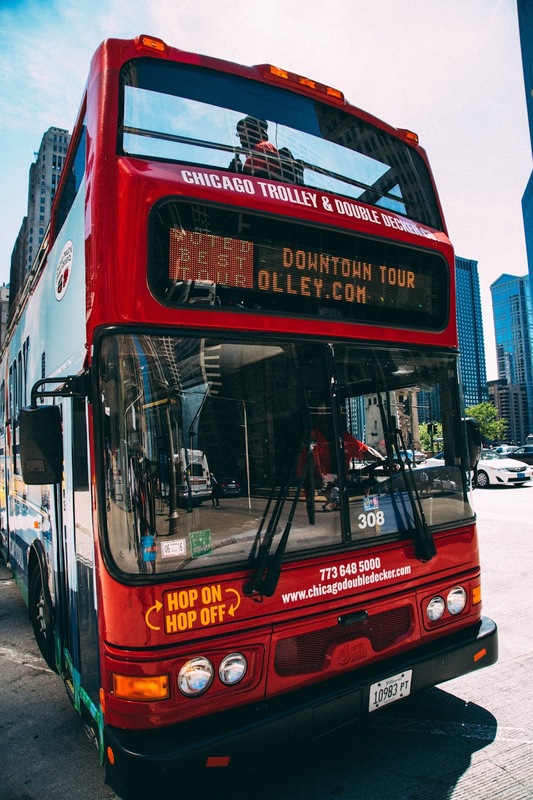 When your on the Chicago City Tour you'll be able to hop on and off at any of the thirteen stops. If you download the app you'll even be able to track when the next bus is on its way. That's a great thing for those who want to spend a little extra time taking in the views and taking photos. Just be sure to keep your ticket handy as you'll need it to re-board. 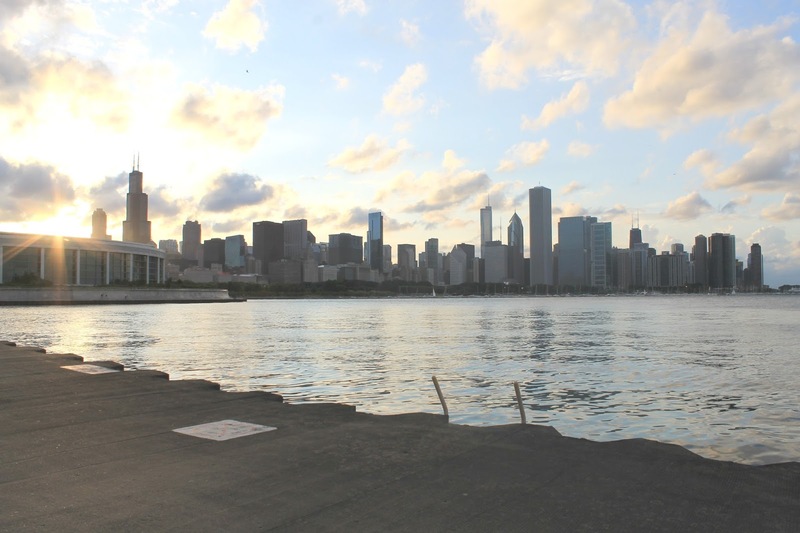 For those wanting to experience Chicago by water, Chicago Trolley also offers the Land, Lake and River Package. The family really enjoyed being able to see the city from up high. Seeing the tall buildings and how big Lake Michigan was kept the girls in awe. We were really excited to take some photos of the skyline on our stops near the Shedd Aquarium and Buckingham Fountain. I would recommend taking the tour towards sunset, it's just a breathtaking view of the city. I loved our tour guide. He had some great little facts about all things Chicago. And just FYI, kids 4 and under ride for free! To learn more about the stops, Double Decker bus, and Trolley visit their website at www.chicagotrolley.com. Let me know if you decide to go, I'd love to hear about which stops you enjoyed.